Right from the first whistle I could hear a kid, probably 6 years old trying to drown out the Thai supporters on her own. Well thankfully she had help from her fellow Singaporeans. I’ve seen a number of games during this SEA Games and if there are 2 sides who know how to entertain, it’s the Thais and the Singaporeans. From the players to the supporters, it’s probably one of the most exciting atmospheres to be in. Trust me, I watched a basketball game between Singapore and Thailand and I was seated with the Thai athletes. Yeah……crazy stuff! I had one goal this SEA Games, that was to use my position as a sports presenter to drive as much support as possible for these athletes and sitting there for the first quarter, I was happy that I’ve done my part. This game, this final so to speak was for me to really sit and be a Singaporean fan, to enjoy the moments both good and bad and I’ll tell you now, I was so nervous. Don’t know why, I just was. 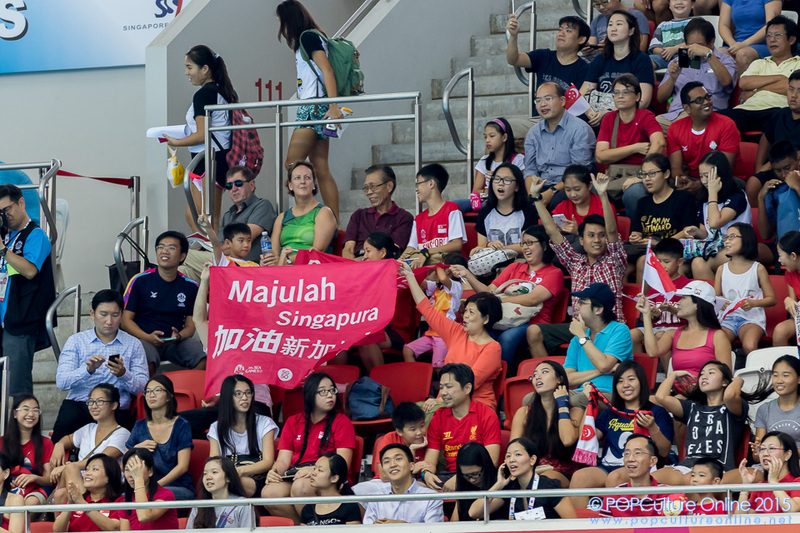 The OCBC Aquatic Centre was buzzing! 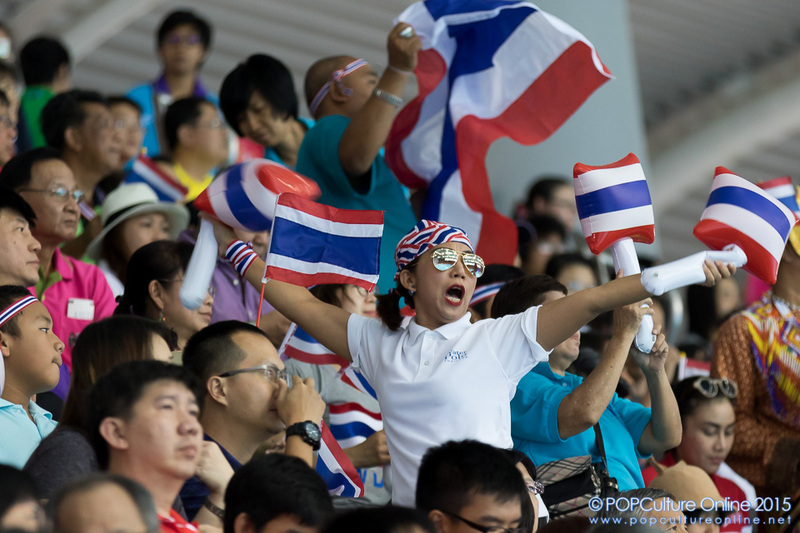 Both sets of fans cheering their teams to move forward, to score and the Thais for many periods kept taking the lead but we equalized with every chance we had. I on the other hand, was biting my nails. 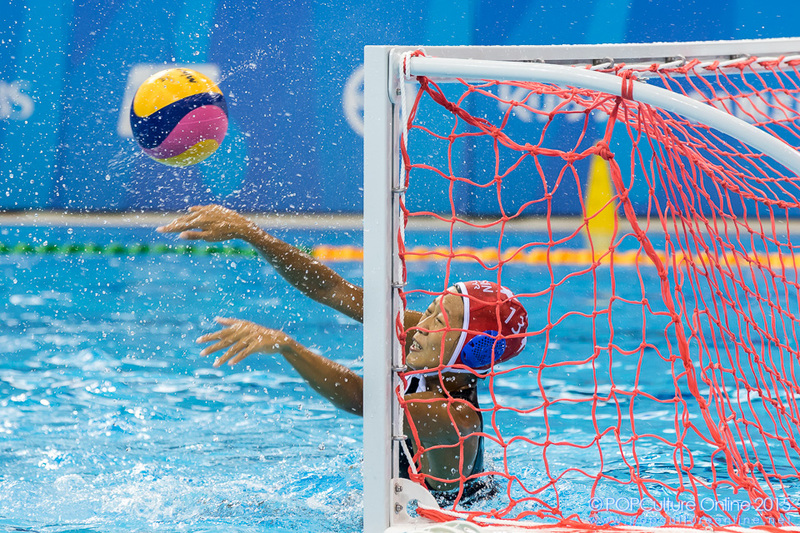 Whenever Adelyn “The Mermaid” Yew had the ball, I was like “Come on Adelyn”….. and I wasn’t shouting. I was like whispering to myself. In fact the reporter next to me thought I was weird. I suppose it’s different from watching your favourite football team. It felt so much closer, it was like they were my friends playing. 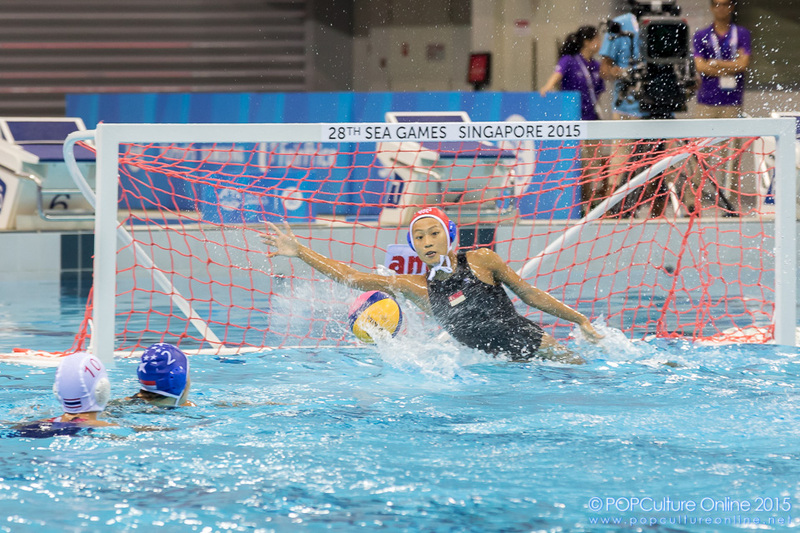 And why not….they are regular Singaporean girls outside of Waterpolo. The fans left me speechless. If you were there, you wouldn’t think it was the OCBC Aquatic Centre because it was so noisy it was like a small football stadium. 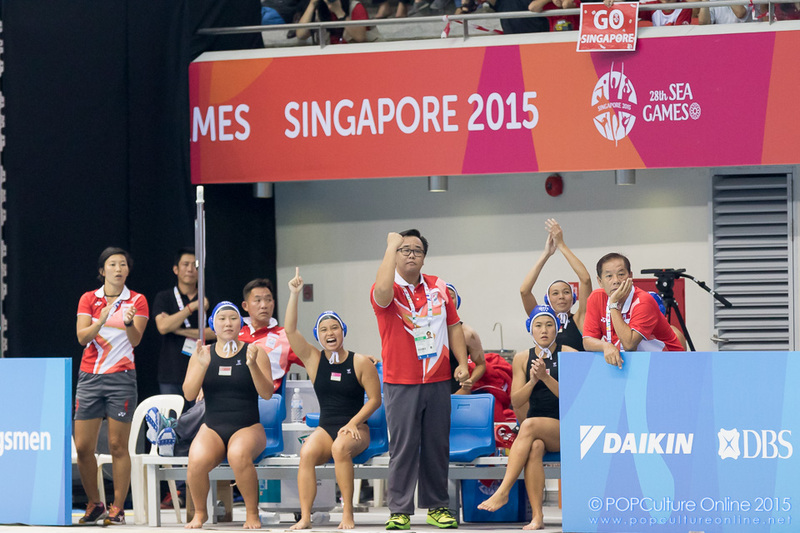 For so much of this SEA Games, Singaporeans have lent their voices in support. With every Facebook post or cheer and there we were witnessing these brave Waterpolo girls give their support back to us. Yes we lost 5-4, the slimmest most heartbreaking of margins but if you were there, if you could see what I saw…….these girls playing their heart out. Giving everything to get that win. And by their post match gestures….in fact at every match that I’ve been at, I’ve seen how these girls acknowledge their fans. They weren’t just doing it for the team but for us. They were giving back even until the final whistle. So often as a man I’ve said before, not many women can understand National Service. I was wrong. Low Seet Teng, Gina Koh, Christine Sim, Lim Wen Xin, Adelyn Yew, Loke En Yuan, Angeline Teo, Lynnette Tan, Ng Yi Wen, Denise Chen, Sheryl Tan, Wu Zhekang and Eunice Fu. These ladies, they know National Service……probably more so than most people. Thank you for the Silver Medal. I also quite like that I’ve found a personal favourite athlete at the end of these games. Yes everyone will be talking about Schooling and his amazing feats or even the victorious Netball girls. But for me, it’s Eunice Fu! Seriously if you are reading this and you know her, please help me tell her I think she’s an amazing sportswoman. The amount of impossible shots that Eunice saved in goal, that’s why I love sports! To see that one gem that can make the impossible, possible! You’ve left me quite stunned Eunice…..thank you for those sporting moments! For more photos from the match, do check out our Facebook Page.